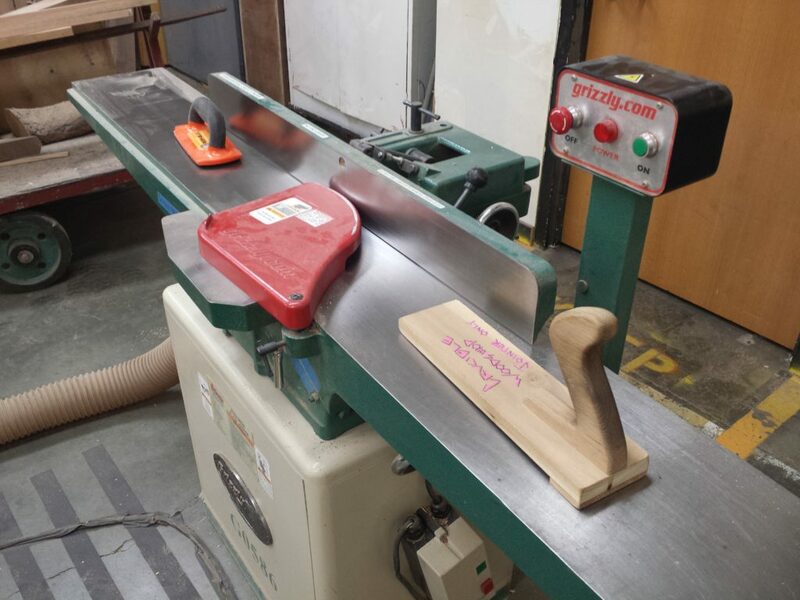 I’m taking a Woodworking I class at The Crucible! Here are some photos from day 1 and 2. 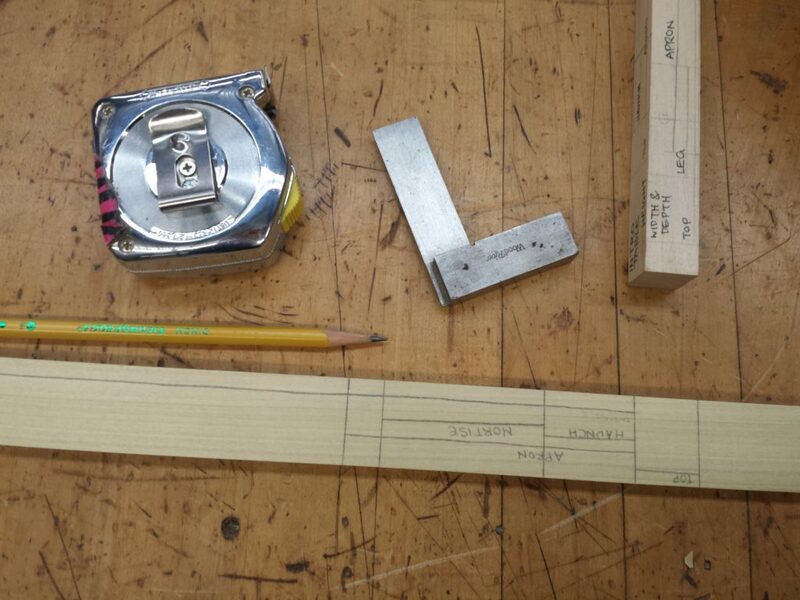 The first thing we did was make a “story stick” as a reference for all the measurements in the table. Then we cut some wood to roughly the dimensions of the table legs and aprons (the side pieces) using a circular saw and a miter saw. 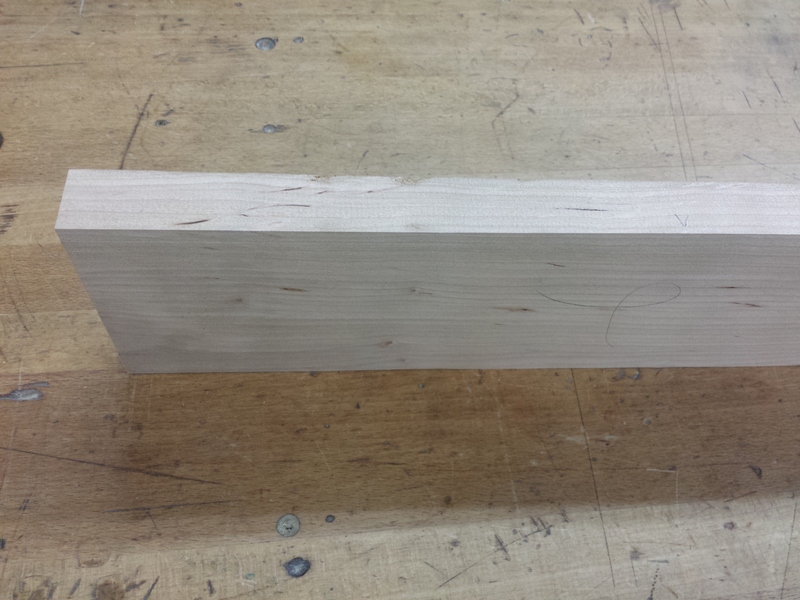 And then the planer to get two parallel, smooth faces. Forgot to take a picture of this machine! Next, we used the table saw with the most square edge against the fence to cut the exact width of each apron (also forgot to take a photo). 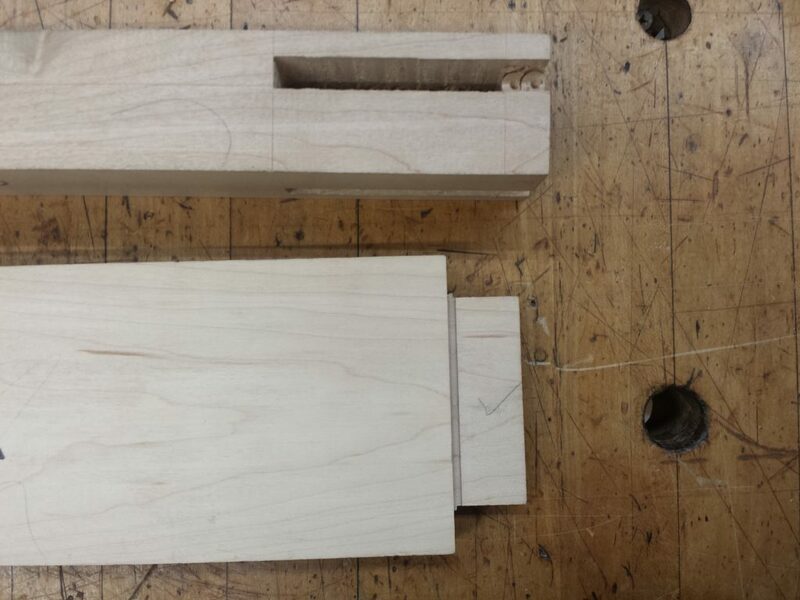 And a more complicated cut with a “haunch” that will supposedly stabilize things. Everyone’s been very friendly and I am beyond thrilled to be learning this stuff, but it’s also a bit overwhelming. The class is going fast! Hey, You have mentioned that you are a trainer at The Crucible. I’m very glad to know. I had viewed the Crucible. I want to build my own little house. Could I trained at The Crucible? The table looks funny but so creative too, I love thecrucible.org a lot. Thecrucible is great. 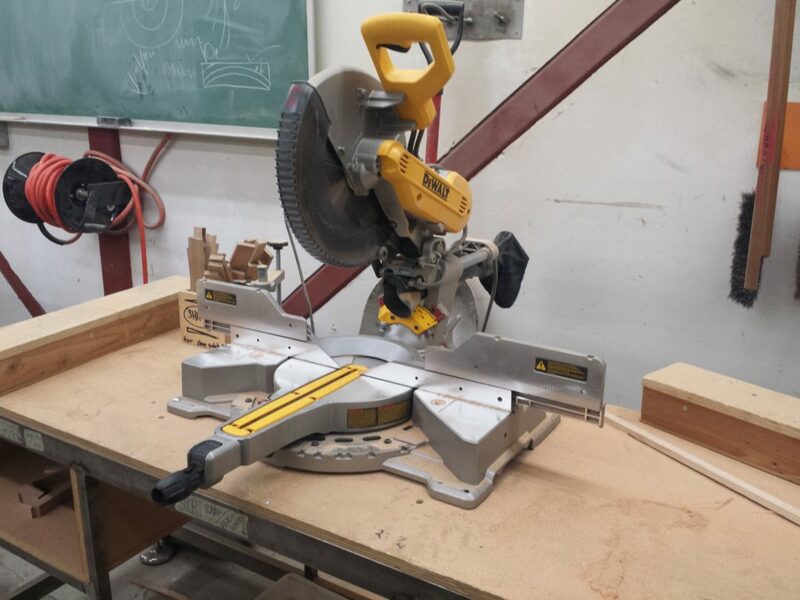 When I joined there, I felt like I was back in my high-school shop class. It was a lot of fun. They have all the gears and expertise to bend your brain in a different way than the daily routine. Thanks for sharing this post! 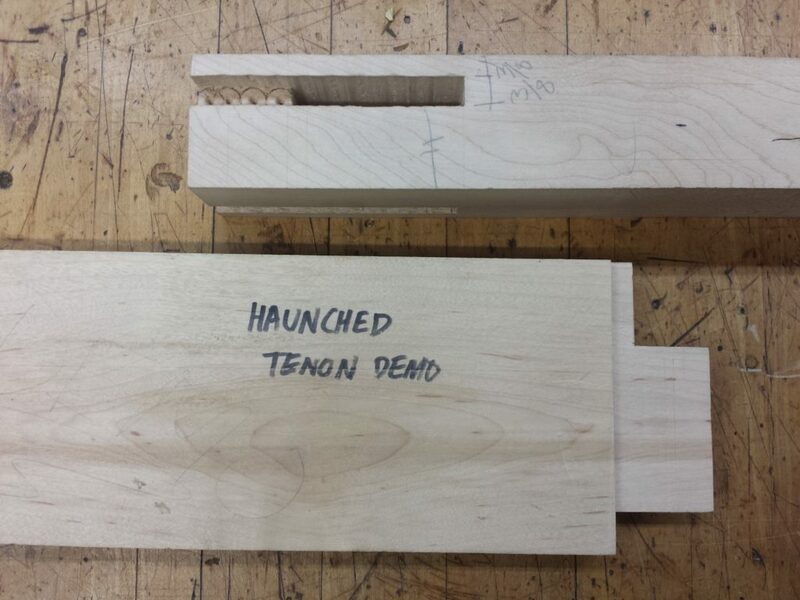 I’ve just recently started getting into woodworking and this will really help me to figure out this. 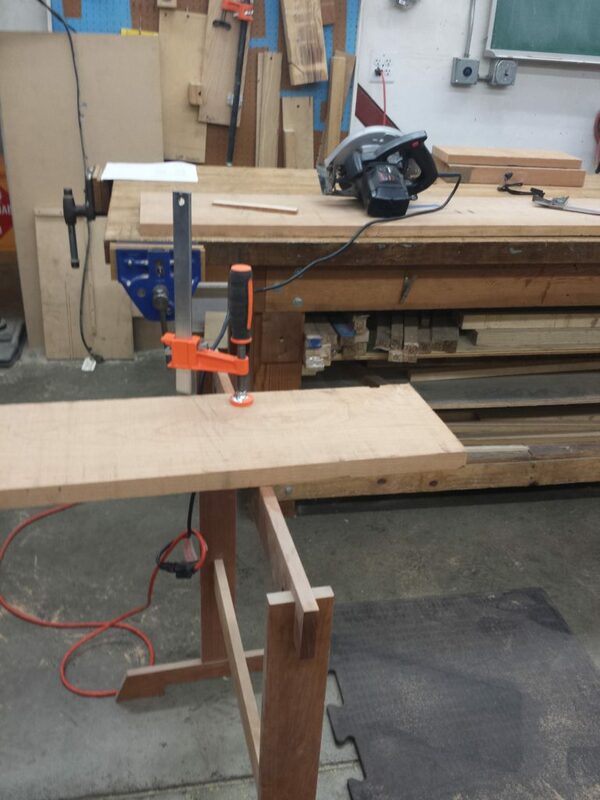 I was surprised at how easily you make this workbench with the crucible saw. Have a nice day. Great tutorial…! 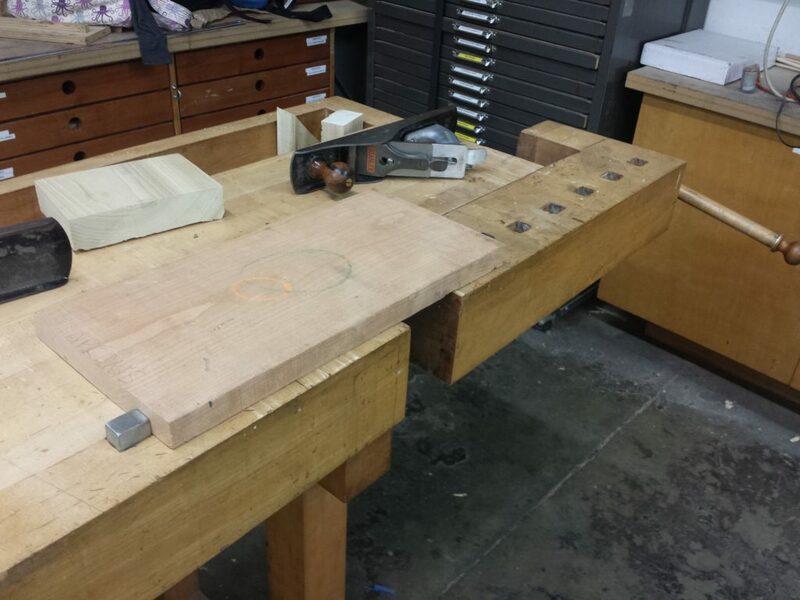 You have shared an informative information about woodworking at Crucible. 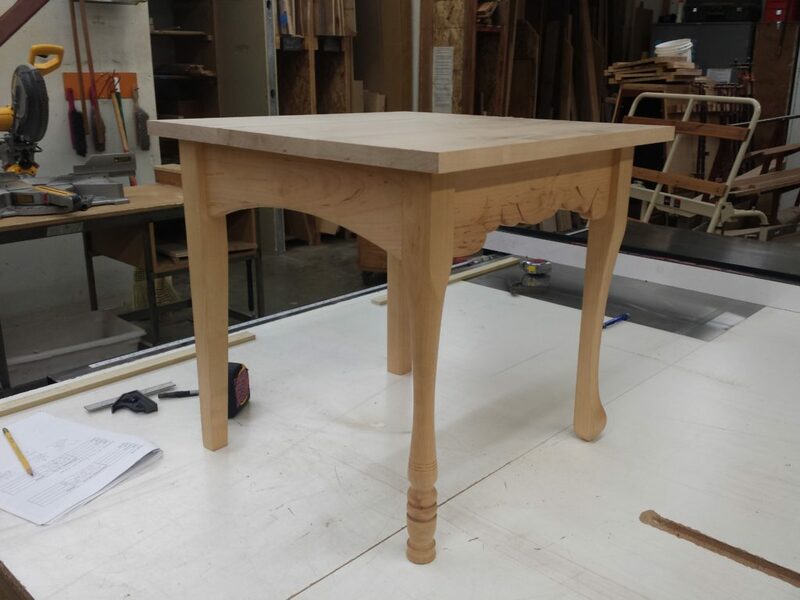 This is a very good project to learning crucible woodwork. I need some classes to learn about crucible woodworking. You have made a wonderful workbench for this crucible. You have made easily and looks awesome. I am full of inspired now to learn this job anyway. Thanks for sharing your post.